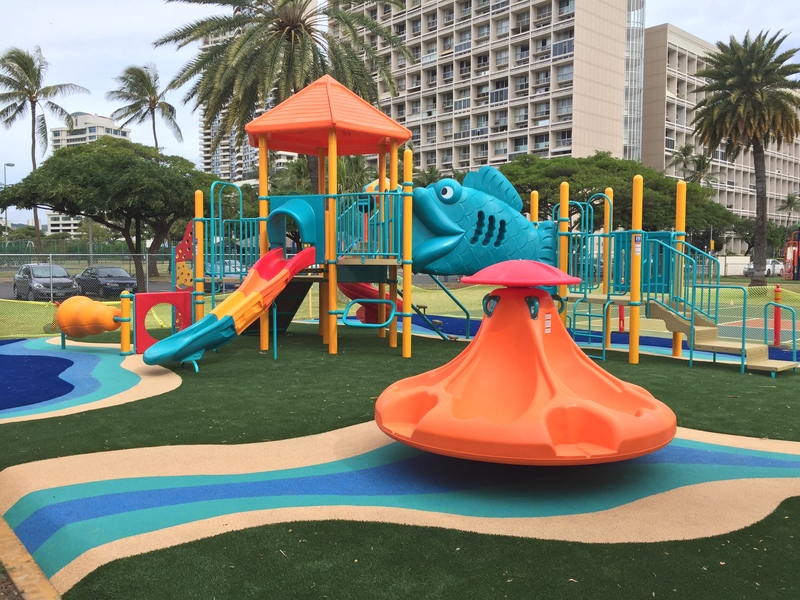 This weeks Featured Application comes to us from Rory D. Otto of NyLawn located in Honolulu, Hawaii. 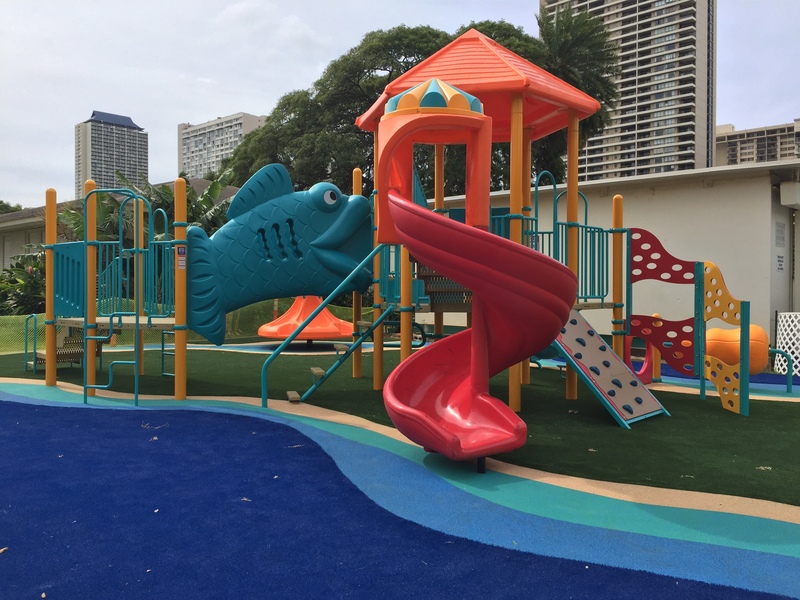 Both of the playgrounds featured are with the Hawaii Dept. of Education Public Schools. 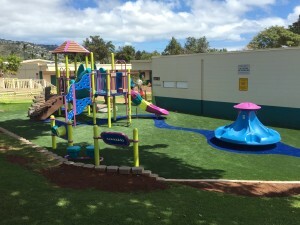 The multi-colored playground is Ala Wai Elementary utilizing the SoftLawn EZ Play®, in colors Green and Blue with a combination of Poured in Place Rubber surfacing. Which ends up to about 2000 sf total. The other playground is Waialae Elementary with the SoftLawn EZ Play®, is about 1600 sf. We’ve listed just some of the advantages of our SoftLawn EZ Play®, but please feel free to contact us with any further questions.